Styled with ajak t-shirt and leah skirt . 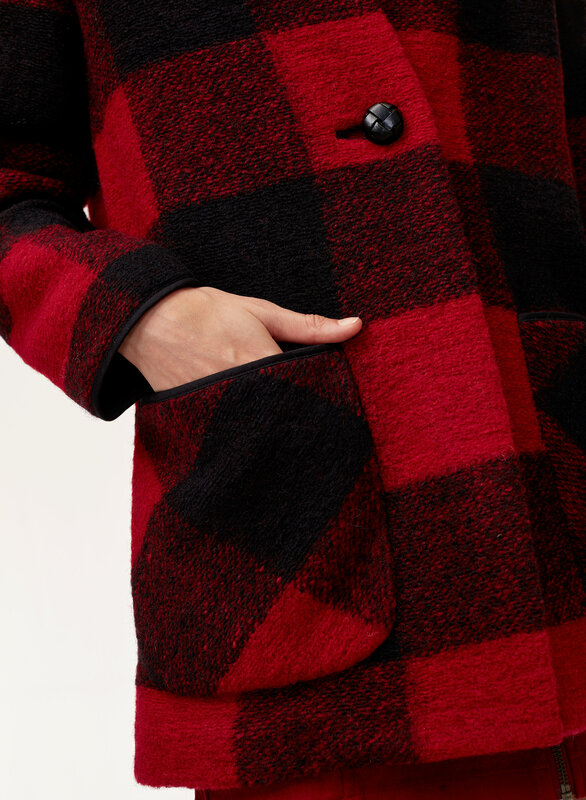 This much-coveted jacket is back, in rich plaids that we created in-house. The yarn, a wool blend from Italy has a dense, felted look that complements the softly rounded cocoon shape. I really like the look - but the jacket pills really badly with every wear. It is definitely thin, so wears more like a sweater than a jacket. Style is great though. Perfect for roaming around on the weekends. 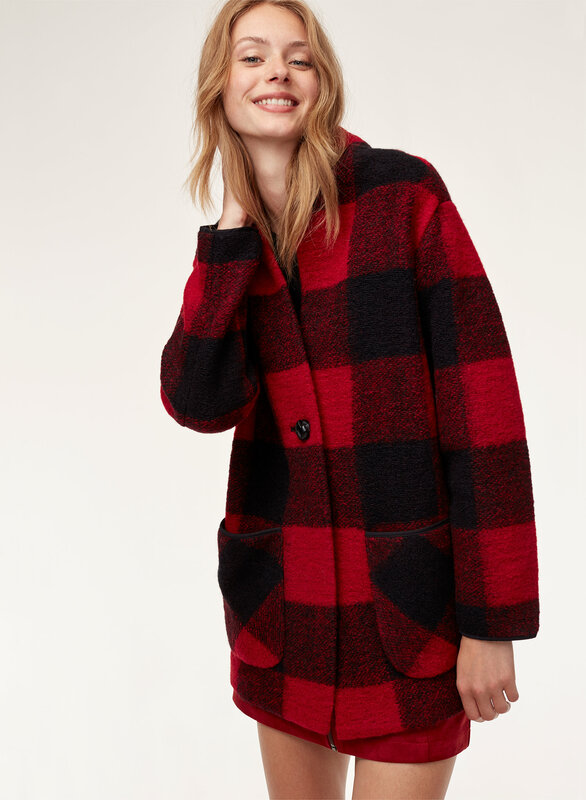 I really love the shape and cut of this jacket/coat. 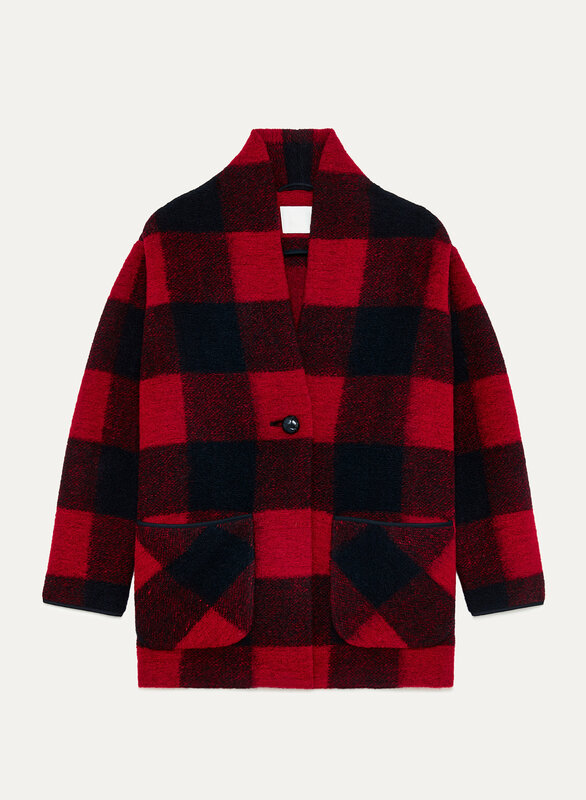 It's so on trend but classic with the slightly oversized look. However, the wool material is completely unlined, and when the wind blows, it goes through the jacket and offers very little warmth. 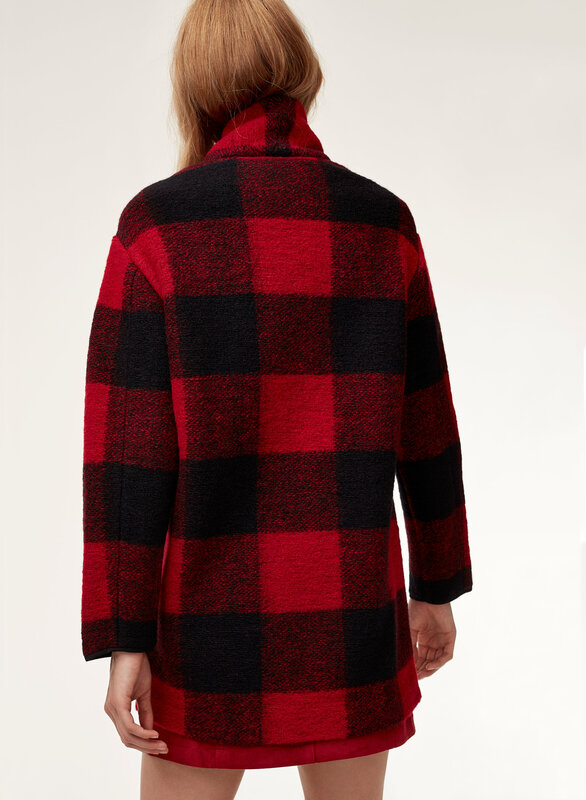 For the price, it should be described more of as a "sweater wool cardigan". The material itself is not durable as an outerwear either. I experienced extreme pilling everywhere to the point and constant wool fiber shedding and now this looks unwearable. Shame because it started off great the an amazing cut and shape. I love the jacket, it fits shy off loose. It’s a well known jacket as in my city, so many girls own it! However, it’s prone to pilling so just being cautious with the material.